10:00 am Sunday Mass. No registration or cost. CLOW (Children's Liturgy of the Word) is a program that helps our young parishioners understand the Scripture we hear at Mass. At the 10:00 a.m. Mass, we invite the children to hear the Scripture readings (Liturgy of the Word) in the Preschool classroom. Our catechists share God's Word and relate it to the lives of the children. We invite pre-kindergarten and elementary grade students to join us when Father sends us following the Opening Prayer at Mass. 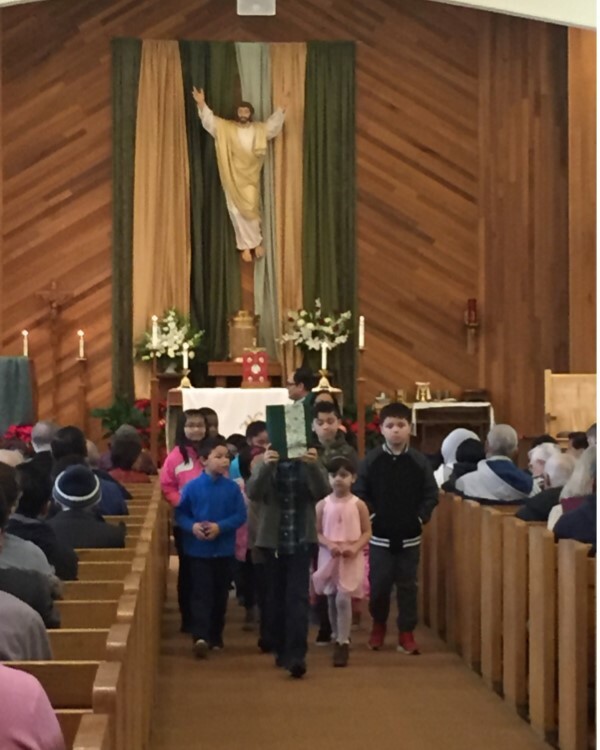 The children return to Mass at the Preparation of the Altar. Parents are welcome at any time. "Let the children come to me," Jesus said. There is no registration, nor charge for this program at St. Matthew.